Our Idaho Mid-Summer Moot started on Friday night with the arrival of Heimgest in Idaho. We had planned a dinner get together for the Idaho residents and Heimgest so knowing he navigated his way from BC in Canada to the correct place was a relief. He contacted Arinbjorn OR and said he was going to lie down for a bit and then shower before we picked him up for dinner. At the appointed time we arrived at the hotel, checked at the front desk and were directed to his room. Yes, not very secure but we live in a semi secure city still! By Asrad CG The beautiful Derbyshire Peak district was once again the setting for this year’s UK Folk Camp. The area has an abundance of wonderful sites and its magical pull cannot be ignored, so once again the Rite returned to Birchover just below Stanton Moor for our fifth folk camp. By Asrad CG I am delighted to once again report to our members that the Great Moot of the Odinic Rite was a complete success and considering the obstacles we faced in organising this years GM that was not always a certainty. 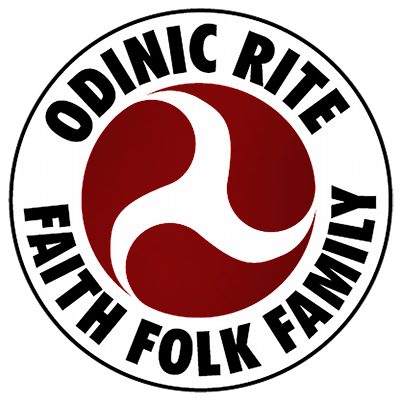 The 3rd UK Odinic Rite folk camp was held at Uffington in Oxfordshire. The campsite itself was just below White Horse Hill with its famous chalk carving of a horse. (more about that later) White Horse Hill, Dragon Hill and Uffington castle were literally 10 minutes walk from the campsite.